Xena has great conformation and carries the Highlander traits. Her Sire is Jock of Glengorm, with direct Scotland bloodlines. Her dam, Urial of Five Star Farms, carries the strong genetics of Five Star Farms. 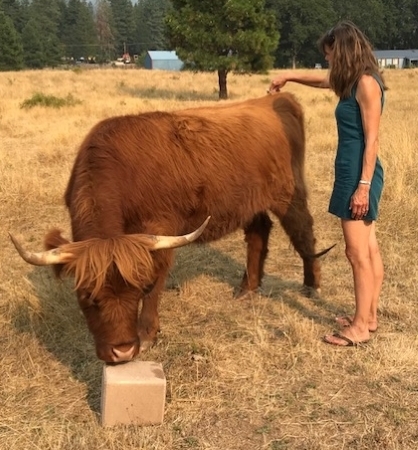 She has been AI'ed to J Bar T’s Jared, of J Bar T Highland Cattle Co., Colorado. 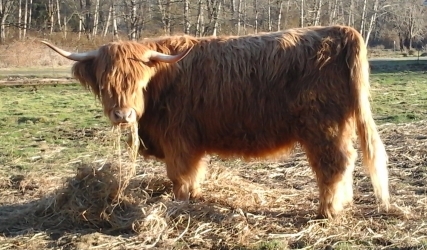 She would be a great purchase to infuse strong Scottish bloodline into any herd or to someone just starting a herd. Photo taken 3/19. Asking price: $2,600. For more information please email or call Dan Howry at 310-560-8730. FOR SALE: 3yo cow, 2 yo heifer. Both are halter trained and have gentle dispositions. Mostly Canadian bloodlines. For more information please email or call Peggy Frey at 425-330-5451. FOR SALE: Flatheads Choice, reg# 58269! Structurally correct, largest scrotal in class, fast growing and mild temperament. Outstanding breeding including Duke of Skye. $2500. For more information please email or call Mike at 406-250-1289. Cash only. For more information please email or call Trudy Metzger at 503-421-4730. Well-built heifer out of excellent bloodlines. Delivery is possible. Last two pics are of her dam (Wild Roses’s Cleo) and her sire (Sunset Braveheart). $1800. 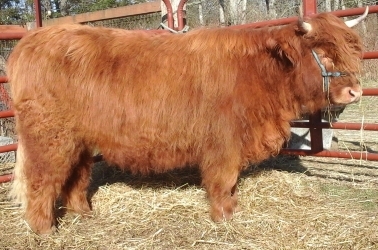 Visit our website or email for more information, delivery is available..
SOLD: High quality, registered Highland bull; #57,115. Viking Fold Forest is 19 months of age and carries the “best of the best” bloodlines including; Shat Acres Raisin Cain, Jock of Mapleview, X-Caliber of Five Star Farm, CH Aloysius and powerful Canadian bloodlines from Cherry Point Fold. Forest is gentle, leads well on the halter, he is vaccinated and has bred three cows this spring. 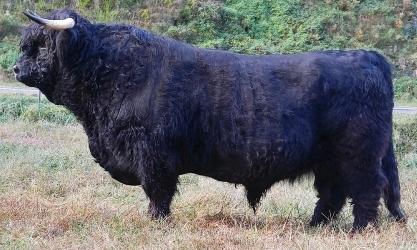 If you lack heavy muscling and good early growth, this would be the bull for your breeding program! $3,250. For more information please email or call David Larson at 541-490-4064. 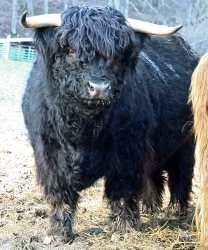 Magic is "Scottish Type" and produces Scottish-type calves. Magic is a purposely bred sire, bred to pass on the superior maternal characteristics and good feet of his parents and grandparents. Magic's calves average 50-60 pounds and grow quickly to catch up and often pass calves with heavier birth weights. Magic has a straight and level topline, plenty of wavy hair, a short and wide head and strong frame. Magic is gentle, calm and loves brushing. You can see his dam, grand-dam, aunts, siblings, and offspring in person at Big Ridge, on our website, or find us on Facebook: "Big Ridge Highlands." Email Bill Arrington at Big Ridge Highlands for more information. Martson Farm LLC is developing markets for Scottish Highland beef which will pay a premium over similar cuts of commercial/commodity beef. 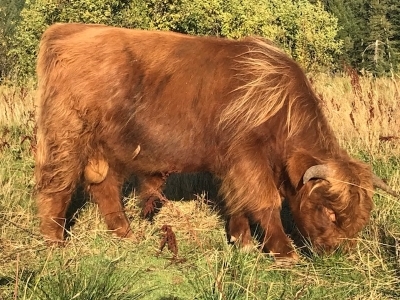 We are looking for purebred Scottish Highland steers or heifers less than 28 months old which have been raised exclusively on grass, brush, hay or haylage for their entire lives. The animals must weigh more than 800 lbs, have received no growth hormones, and, if a heifer, been vaccinated against brucellosis. We do not buy the animals. What we do is put your animal into our supply chain and you get what the purchasers pay, less a $.75/lb hanging weight charge by us for developing the markets and for handling the animals and customers. All animals must be delivered at your expense to Martson Farm, 14388 S Bagby Rd, Molalla, Oregon. What customers are paying varies by customer and time. If interested, please contact Rick Martson at 503-799-5743 or email for more information. 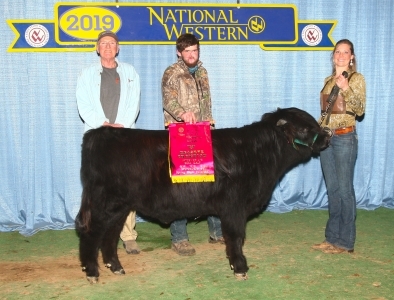 Hemlock Highlands will buy your weaned steer or beef-quality heifer calves. Call to discuss. Please contact John or Jean Bates at 360-856-5817 , or email for more information. To post an ad or make corrections, email Bonnie McLarty at bemhighlands@gmail.com. Please provide a short description of each animal or product, your name or the name of your farm, your contact information, and one or two photos. Sale ads will be posted as soon as possible, generally upon receipt. A posting date will be included with each new ad, with the newest posting at the top of the page. Please notify Bonnie when the animal or product has been sold. Sale ads older than 4 months will be automatically deleted, so if you need to update your ad or if your animal has not sold, let Bonnie know. Only NWHCA members may advertise on this website. Membership is only $35 per year with unlimited free advertising on this site. For membership information, click here.